This is a special limited release of hand selected casks by master-blender KIrsteen Campbell. 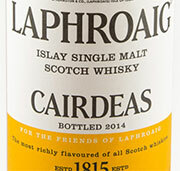 In spite of its high strength, it is smooth on the nose and the palate. 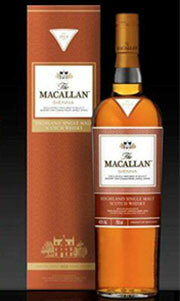 Citrus fruit, honey and vanilla and a gentle spicy festoon on the finish are the key aromas. Beautiful balance, satin-like mouth feel. A lovely discovery. I had not tasted that neighbour of mine yet! Appetizing golden colour, medicinal and empyreumatic nose with notes of seaweed and toasted bread. A sweet start followed by a drying spiciness, with an astringent and ligneous touch. That’s the print of the amontillado finish. Lingering smoke and seaweed saltiness on the finish. This new non age statement and non coloured collection in the 1824 series features 100% sherry cask but some of them are from American Oak casks. Golden amber. Intense nose, earthy, with a Christmassy character. Marmalade, cloved orange and cocoa powder, cinnamon. The palate is smooth and velvety. Elegant with the same candied citrus profile. Opening on crème brûlée and sweet spices. 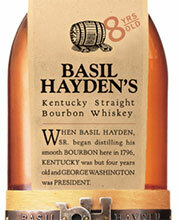 Basil Hayden SM is one of the four “small batch” released by Jim Beam some years ago. It is 8 years of age and includes a higher percentage of rye than the standard bourbon in the mash bill. Hence its spicy character. On the nose, sandalwood and pepper, then some fruit, dried apple. A floral note too. The palate retains the same pepperiness with a sour touch (cranberry juice). Sweet at start, it leads way to a spicy outburst. Long finish. The nose is rich and deep. Opening on candied chesnut, heather honey, toasted coffee beans, chocolate and soft spices. The palate is alike with a velvety texture. Oak and fruit sensually integrated. An earthy peat note in the back. A model of elegance and harmony. A single malt perfect with a sweet or afterdinner. I have never met anyone who does not like Highland Park 18 Year Old.